This year is the first time Samoa Events is putting on the New Zealand Swim to mark Waitangi Day in Samoa. The race will be held at Taumeasina Island Resort on Saturday, 4th February two days ahead of the 177th anniversary of the signing of the historical Treaty at Waitangi in 1840 (Feb 6) – the treaty of two peoples, Tangata Whenua Maori and British Pakeha. Upon this partnership the makeup of the new country was formed – its laws, education, governance and government. Te Kiwi Swim (The Kiwi Swim) follows the hugely successful Aussie Swim on Australia Day last week in celebration of Australia’s national Day. Waitangi Day being on a Monday this year, Te Kiwi Swim will instead run on Saturday at midday. The races will kick off from the white sandy beach of Taumeasina at midday. The 2.2km swim is first at 12pm followed by the 1.2km swim fifteen minutes later. There is also a 100m swim for the little ones. Once the individual swims are out of the way then the fun stuff takes place, the relays and the costume individual swim (200m). 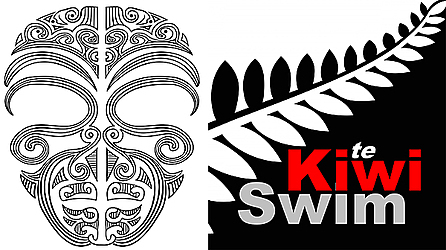 At the end of all that swimmers and spectators will be settle in for some kiwi food, I heard a rumour of a hangi at Taumeasina, and some kiwi sounds throughout the afternoon. As a Samoan living in Aotearoa New Zealand, I came to embrace and understand the importance of my place in the country. That involved understanding its history and what is important to the wairua or soul of the country. I attended Waitangi for several years including the 150th year of the anniversary of the Treaty in 1990. It was the same week super Cyclone Ofa did massive damage to Samoa. I also attended a large number of Dawn Ceremonies on Anzac Day. These two national events are significantly important in order to understand what it means to be a New Zealander. My understanding is that not many, and very few Pacific Islanders have made the journey to Waitangi on Waitangi Day. There are quite a few now attending dawn ceremonies on Anzac Day. Proximity to celebrations is the key here. Still, a pilgrimage to Waitangi on Waitangi Day is important in the journey to be immersed in the wairua of the country. Te Kiwi Swim is therefore my own contribution to the memory of that event in 1840, and right here in Samoa where I was born and now live. 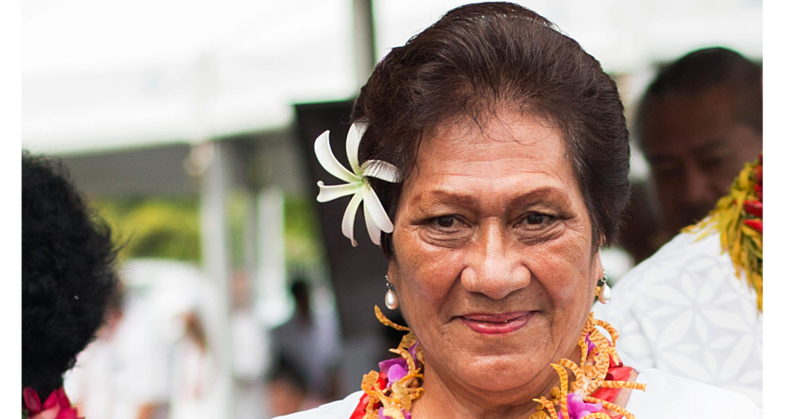 Not only that, it is to celebrate the amazing contribution of many New Zealanders who travel to Samoa to participate in the many events held by Samoa Events. The celebration at Taumeasina on Saturday is open to everyone. 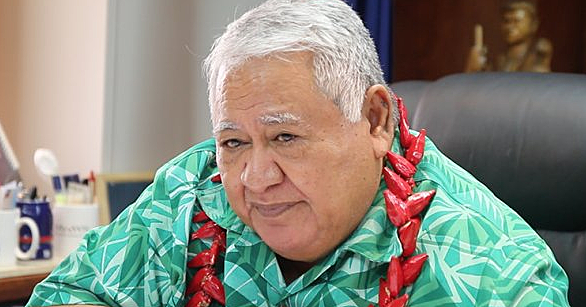 Samoa Events actually holds two events that morning. 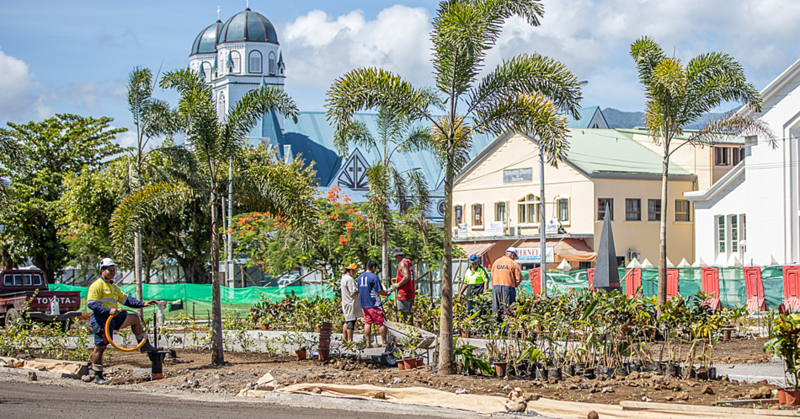 The first is the Apia Harbour 10KM Run at 7.30AM from the car park across the road from the A.N.Z. This is the second of the Run Series. Then at 11.30am, registration is open for the swims at the Taumeasina Island Resort.